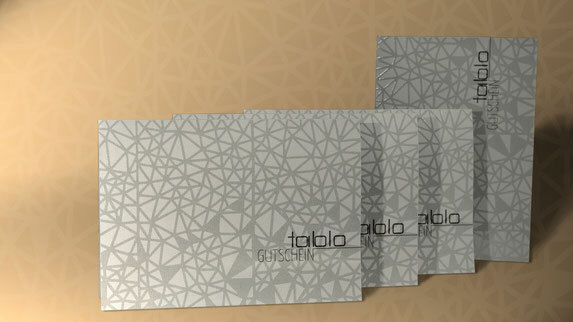 You can order your tablo voucher online. After payment has been received, we will send your voucher via post. Please fill in all blanks. The value only will be shown on the voucher. You can certainly purchase vouchers in our restaurant. Please remember to add 1.45 EUR for postal charges when transferring your amount.